Bacha, S.; Ayad, M. Y.; Saadi, R.; Kraa, O.; Aboubou, A.; Hammoudi, M. Y.: ''Autonomous Vehicle Path Tracking Using Nonlinear Steering Control and Input-Output State Feedback Linearization''; International Conference on Electrical Sciences and Technologies in Maghreb, Algiers, Algeria, pp. , October, 2018. Hammoudi, M. Y.; Ayad, M. Y.; Saadi, R.; Kraa, O.; Bahri, M.: ''On the Application of the H∞ Control to Three-Phase Interleaved Boost Converter for Fuel Cell Systems''; International Conference on Emerging and Renewable Energy: Generation and Automation, Sousse, Tunisia, pp. , October, 2018. Saadi, R.; Ayad, M. Y.; Hammoudi, M. Y.; Kraa, O.; Bahri, M.: ''A Robust Control of a 4-Leg Floating Interleaved Boost Converter based on Mixed Sensitivity H Infinity Controller for Fuel Cell Electric Vehicle Application''; International Conference on Emerging and Renewable Energy: Generation and Automation, Sousse, Tunisia, pp. , October, 2018. 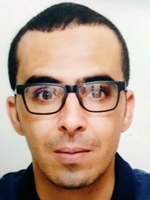 Hammoudi, M. Y.; Kraa, O.; Saadi, R.; Ayad, M. Y.; Bacha, S.: ''Non Linear Control of a Fuel Cell Interleaved Boost Converter using Weighted Mixed Sensitivity H-∞''; International Conference on Electrical Sciences and Technologies in Maghreb, Algiers, Algeria, pp. , October, 2018.